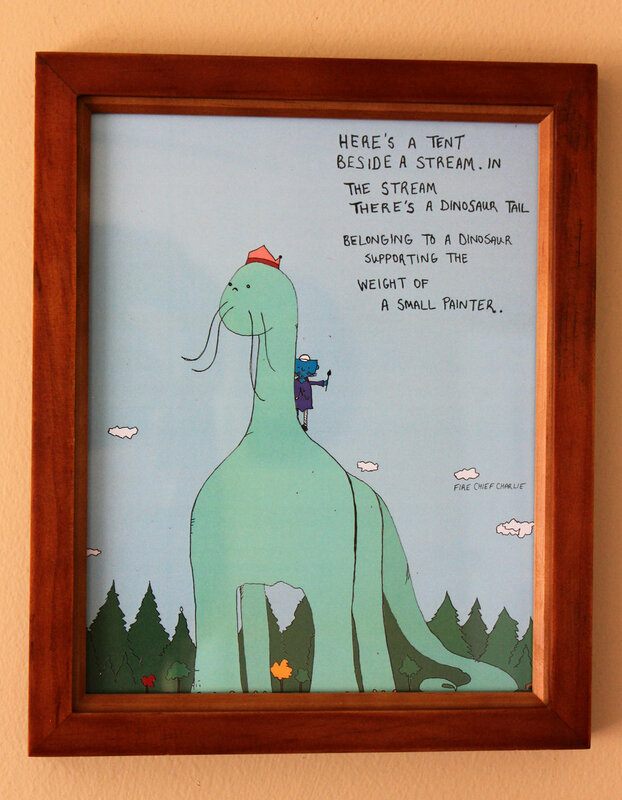 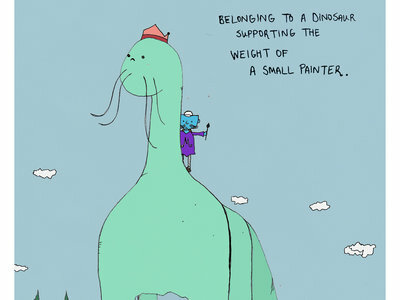 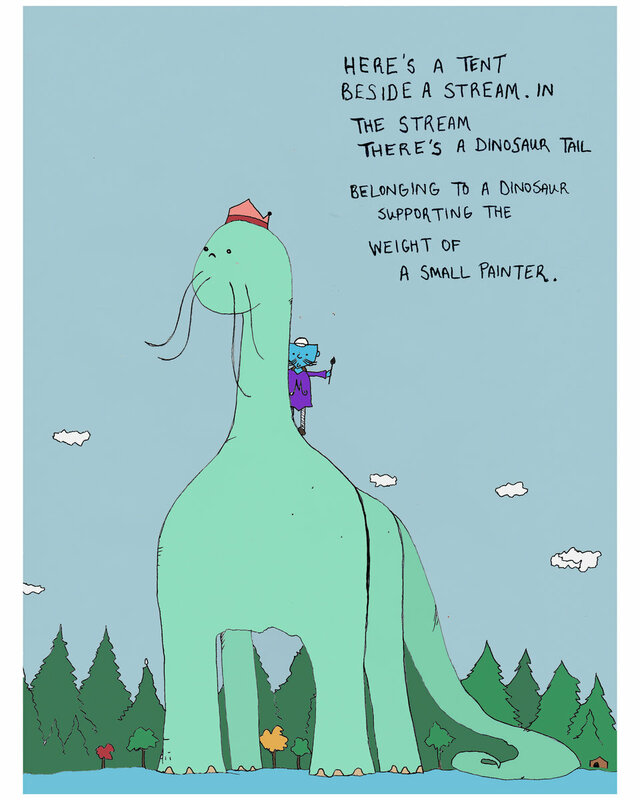 A miniature poem besides an enormous dinosaur carrying the weight of a relatively normal-sized painter. 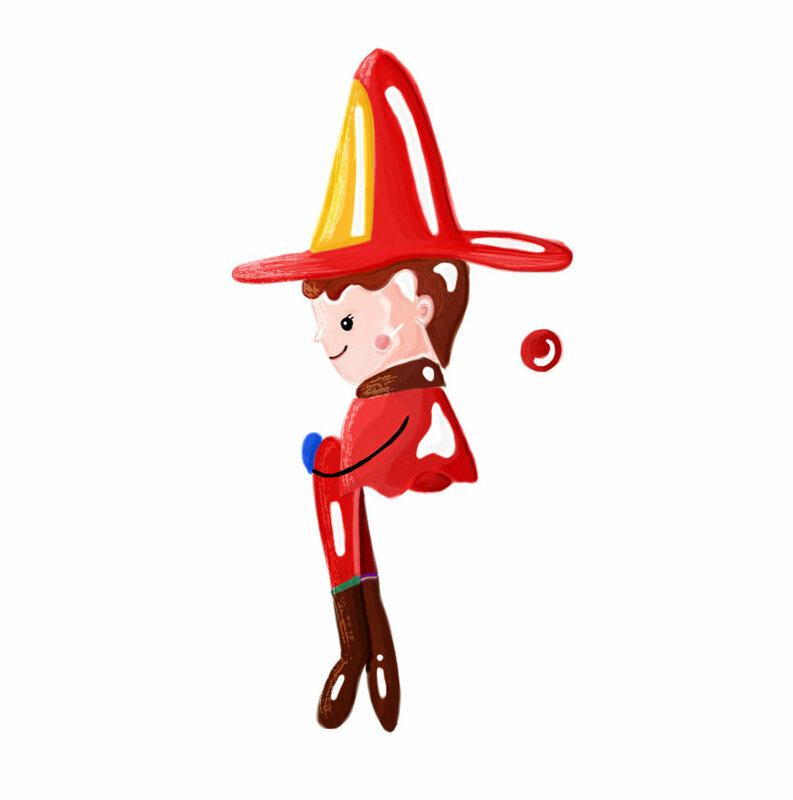 Lasso stomps, Morceaux paints. 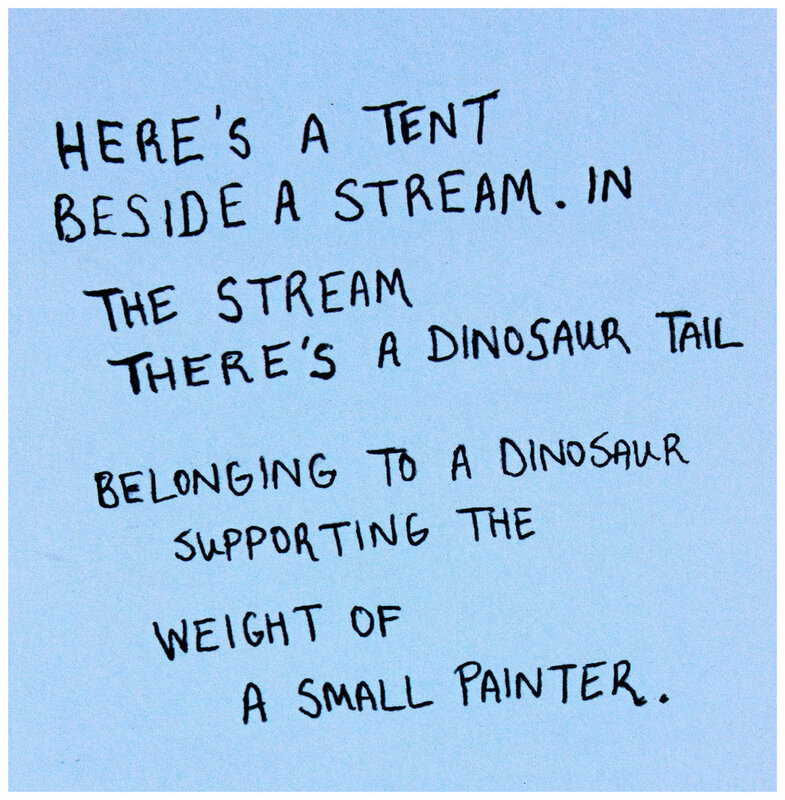 Who wrote the poem?